I jumped out of bed this morning. Literally! It's Advent, the carols have started on the radio, my fairy lights are on and it's Christmas! And I have decided that this year, my camera is coming EVERYWHERE. That is my little Christmas promise. So why did I jump out of bed this morning? Because I had planned a Miss Smith Perfect Day. I've been refusing invitations and obligations falling on this weekend since September so that I can have a little oasis of calm to myself as I head into the busiest (and most wonderful!) time of year. I called home first of all. The music on Classic fm got me all excited. But Dad was a bit disconcerted. He claimed that he liked to be the most excited about Christmas and that I was stealing his thunder. He also demanded to know why it hadn't snowed. Anyway, I sallied forth from the flat, got a jam doughnut for breakfast and hit the tube station. I devoured the jam doughnut without getting a drop of jam on my coat or scarf (the trick is to follow the jam - if you bite into the jammy bit, the only place it can go is towards your tummy) and rode the tube to Goodge Street. Giant Paperchase here I come. I spent a good hour browsing and a good few pennies on exciting Christmas stationary for JYC and then wandered through Bloomsbury and Bedford square, across Seven Dials and into Covent Garden. I had two missions: to take pictures of the decorations (doing this before December seemed somehow cheating) and to find the Christmas tea. I bounded into Whittards and located my tea and sang along to their music. I shared a "Yay! Christmas!" moment with a member of staff who said they'd just put the Christmas music on that day, and with my tea in tow, headed off for lunch. Wahaca dished up all my favourites - who doesn't love a restaurant where it's expected that you will order 4 dishes and scoff the lot? 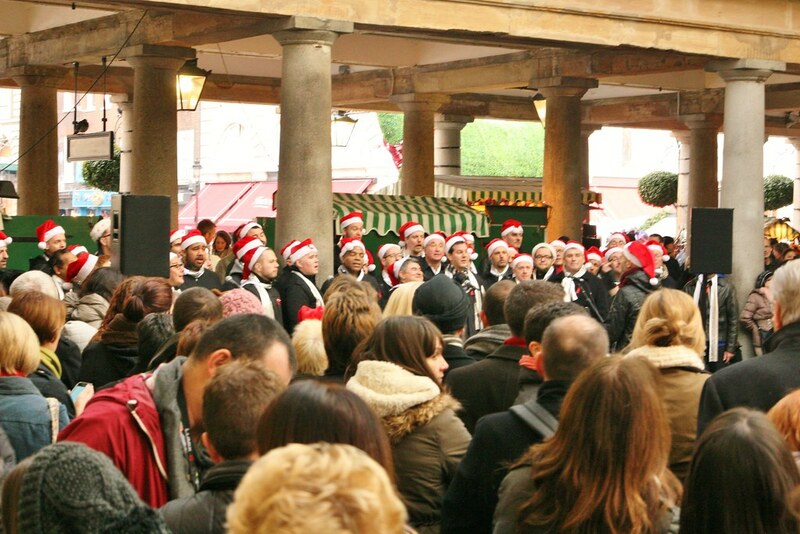 - and then I returned to Covent Garden to be serenaded by the London Gay Men's Chorus. They were good. Really good! And their dancing was exactly camp enough to embrace stereotype :D I also particularly enjoyed the Father Christmas hats and silver shiny scarves. As lunchtime turned to afternoon, I snagged a cookie from Ben's for the interval, visited the reindeer - yes, real live reindeer! - and tottered on down to the Aldwych for the matinee of Top Hat. And it was fantastic! It was like Bertie Wooster was there in the audience with me - songs and dancing, glitz and glamour, truly terrible (and therefore perfect) puns and corny humour and enough top hats and tails to make any heart melt.. I will be going again. It was dark when I emerged and I walked back to the tube via Covent Gardens. What's the point of taking pictures of the decorations if you don't then go and get pictures of the lights when they're on and shiny? So that was my day of Christmas magic. I've had my little moment of festive magic and I'm good for the season! And now, why not head over to Sian's to read other Christmassy stories? P.S. Check back soon for Episode 5 of the Journal of Curious Things Podcast. It's currently in the editing suite with yours truly who is being reminded yet again that computers are really not her thing and she misses pens and paper and thinks maybe she belongs back in the days of tape, scissors and the fire hazzrds that went along with editing in the old days. Sounds like a great day to me! You are now officially in the Christmas spirit zone. Love the picture of the tree too! Sounds like a wonderful day. 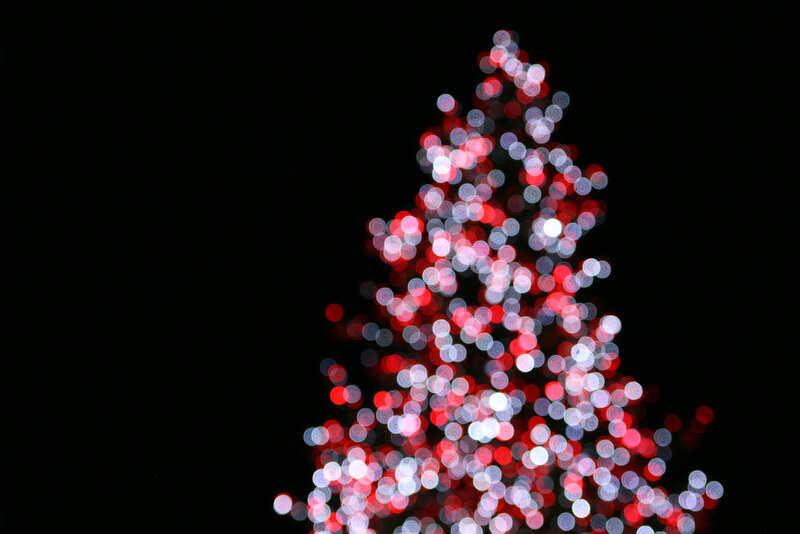 What a fabulous day and I love your bokeh shot of the tree - simply gorgoeus! Sounds like a perfect day - I am heading to London next weekend for some festive fun. I love wahaca and Ben's cookies too - great choices! It sounds like you've had a wonderful day! 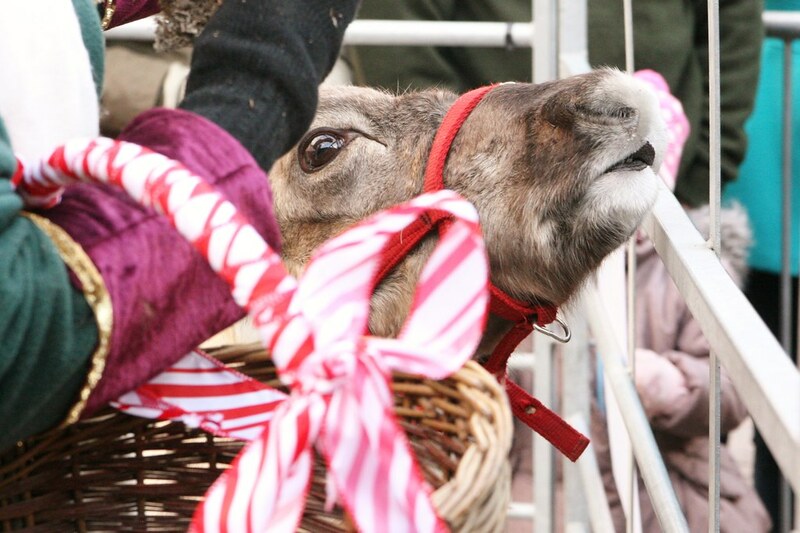 Beautiful photos - love the reindeer and the Christmas lights. Wow - a busy day! Lovely photos. I agree with Becky - a really busy day - but looks like you had some great festive fun! Loving your photos and story behind them. Look forward to the rest of your JYC. What a great start to Christmas, filled with so much but still sounds like you had a fantastic time! It sounds like a wonderfully festive day to begin December! And your JYC page is perfect! 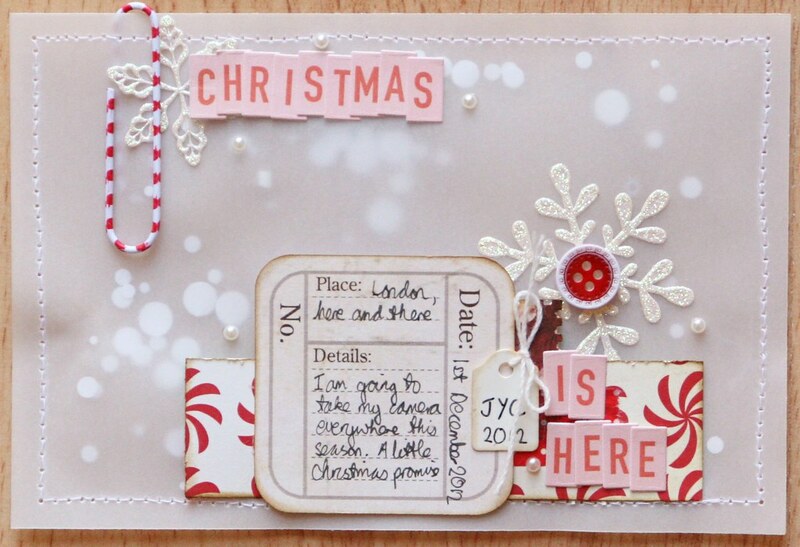 A lovely Christmassy Day - and I love your page! Kirsty, I am so sorry - I have absolutely no idea how I could have missed this one yesterday. Argh! It's lovely too - you've got me feeling all Christmassy for the rest of this evening. Brilliant. And thanks for your stories throughout the year. Much appreciated and enjoyed by all.